Many of us in the miles & points hobby like Bank of America, because it’s been relatively easy to earn the sign-up bonus again from their cards. In the past, folks were able to get a second (or third, or more) Alaska Airlines Visa Signature® Card so long as they waited at least 30 days after their last approval for the same card. But it appears Bank of America has changed the rules. Now, your application will be automatically rejected as a duplicate if you’ve applied for the same card in the past 90 days. 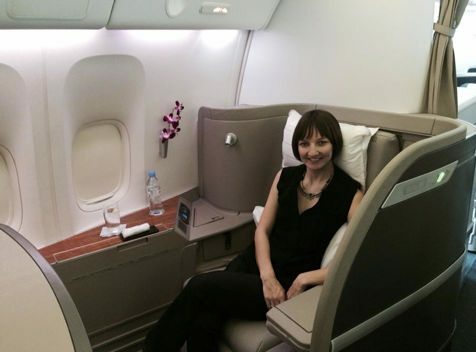 Alaska Airlines Miles Are Great for Booking Award Flights on Partners Like Cathay Pacific. But Now You’ll Have to Wait Longer Between Card Applications! However, there may be exceptions to the rule. I’ll explain! Until recently, it was possible to get approved for a Bank of America Alaska Airlines card as long as it had been at least 30 days since you opened the same card. Even if your previous cards were still open! Recently, Million Mile Secrets team members Harlan and Jasmin applied for the personal version of the Bank of America Alaska Airlines card after each having opened the same card ~5 weeks prior. Neither application was immediately approved. And upon calling Bank of America reconsideration, both were told they’d been denied. But for slightly different reasons. For Jasmin’s application, a Bank of America credit analyst explained that their systems are now hard-coded to treat a new applications as a duplicate if the same card had been opened less than 90 days ago. The application is automatically cancelled. He said there’s NO workaround, like reducing or moving around credit lines. But because the application was cancelled, there was no hard credit pull. However, he did mention that if you wanted to open a different card product (like the Bank of America Virgin Atlantic), the application could be approved. Bank of America had a different explanation for Harlan’s rejected application. The representative said the reason was too many recent credit inquiries. When asked if the 90-day rule also had an impact, the analyst replied that the major factor was credit inquiries, but didn’t confirm or deny the 90-day rule. And there was NO hard credit pull, either, which suggests the application was also automatically cancelled. And the analyst suggested applying for the Bank of America Alaska Airlines Business card. She confirmed this is considered a different card product. Doctor of Credit suggests some folks have been approved under 90 days in the past because they have a banking relationship with Bank of America (accounts, investments, etc). But the data isn’t consistent. So I’m curious to see if any of y’all have had recent experience with this! Please let me know in the comments. Bank of America appears to have introduced stricter rules about how often you can apply for their cards. 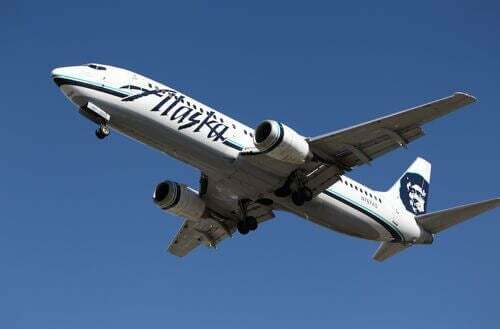 Two recent Bank of America Alaska Airlines applications by Million Mile Secrets team members were denied because it had been less than 90 days since they previously opened the same card. A Bank of America analyst said their systems are hard-coded to cancel applications for the same card within 90 days of opening a previous card. But there’s no hard credit pull. Different card products, like the Bank of America Alaska Airlines Business or Bank of America Virgin Atlantic, are NOT subject to the same restriction. Please let me know if you’ve had recent experience applying for the same Bank of America card less than 90 days after you opened the previous one! bank of america approved me for 2 cards in the same week. its unusual. anyone have any other input? My wife and I each applied for BoA Alaska personal card last week and were denied due to already having the card (actually 2-3 each). She last applied and got card over 90 days ago. Mine was more than 6 months ago. We have checking account with BoA for over 10 years. Seems churnability of card is down to once per year (after closing previous card around the 11-month point to avoid Alaska closing your mileage account if those rumors are true)! Are the business and personal considered different types of applications so they can be within 90 days of each other? @Wes – The business and personal are different. Wow, all this time I thought it has always been 90days. I could’ve applied for a few more! My fiancé recently applied for 2 personal last week and got approved for both. I wonder when BOFA changed this rule.